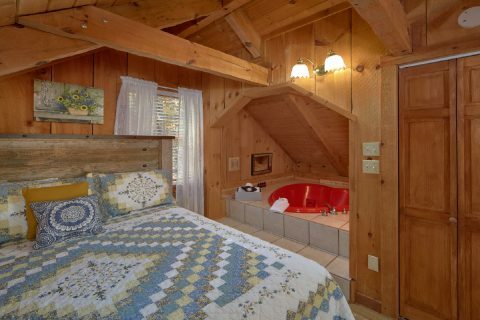 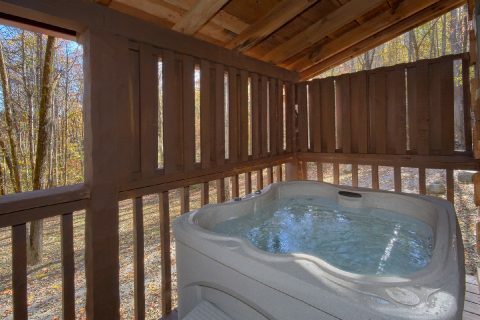 Searching for a 1 bedroom cabin in the Smokies with a hot tub and fire pit? 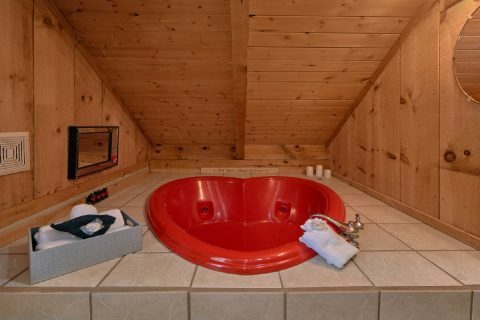 Look no further than "Bare Kissin and Huggin!" 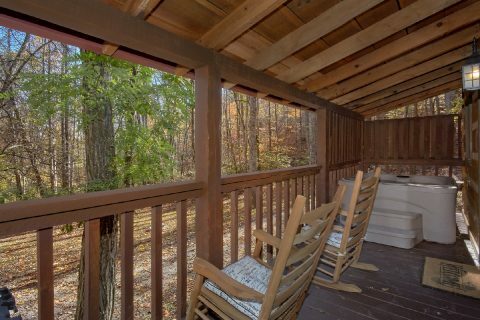 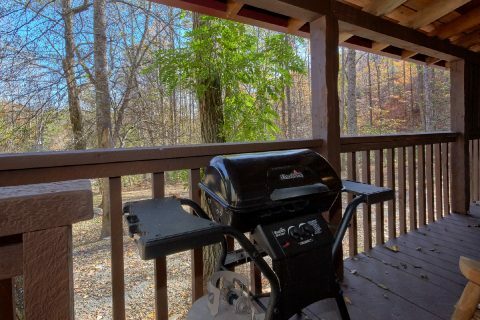 This lovely cabin in the Smokies boasts a 4-person hot tub on its front deck and it also sits near a fire pit area, so this cabin is perfect for enjoying the beautiful nature of the mountains. 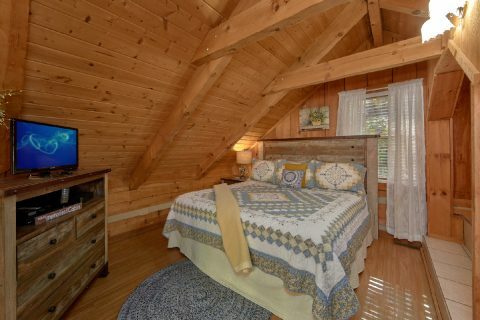 With room for up to 4 guests, this cozy Smoky Mountain cabin is ideal for a couple planning a romantic vacation or a small family planning to explore the Smokies. 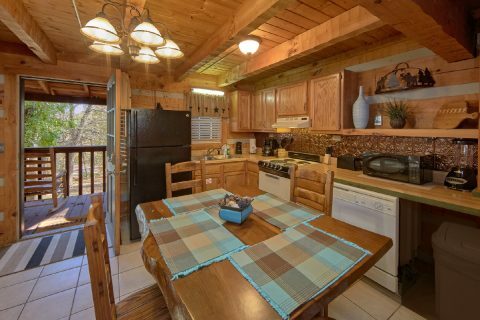 Since this rental rests less than 6 miles away from Downtown Pigeon Forge, guests staying at "Bare Kissin and Huggin" can easily reach top local attractions like The Island, The Titanic Museum, and Dollywood. 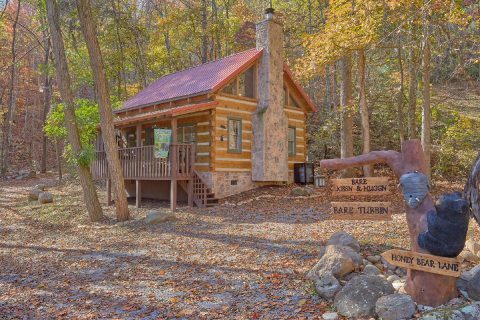 Additionally, other top destinations like Downtown Gatlinburg and The Great Smoky Mountains National Park are only a short trip away on the Spur Road. 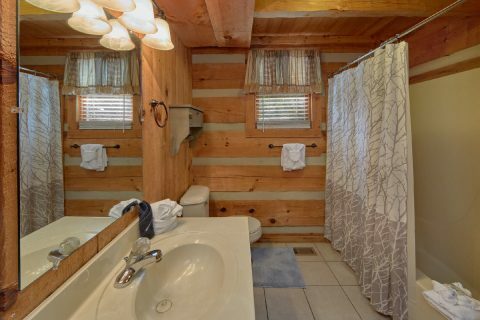 After a great day exploring the Smokies, you'll love returning to this comfortable cabin that has everything you need to unwind. 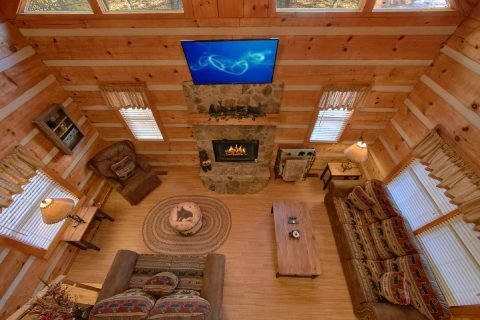 From the hot tub and rocking chairs on the covered front porch to the living room with a gas fireplace & a 50" television to the outdoor fire pit, there are plenty of ways to unwind during your stay. 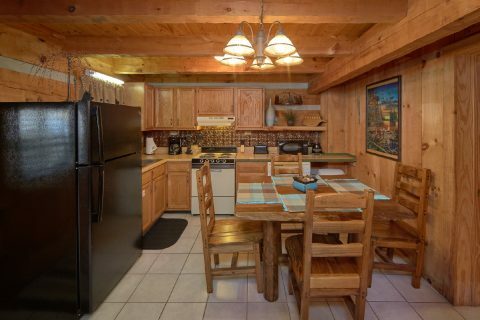 As an added perk, your cabin comes complete with practical amenities like WiFi, a gas grill, a full kitchen, and a washer & dryer. 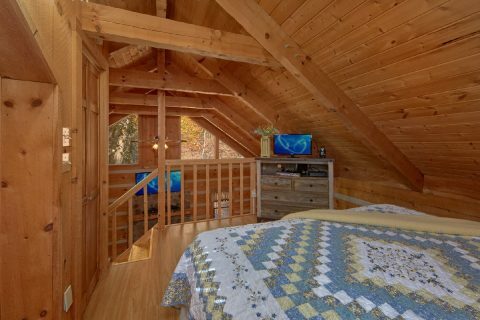 Once you're ready to get some rest on your vacation, you can look forward to sleeping in the king bedroom located in this cabin's open upstairs loft. This room also comes complete with a flat-screen television and a heart-shaped jacuzzi tub. 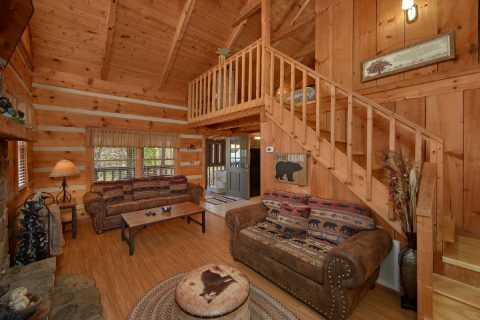 For extra guests, there's a sleeper sofa located in the living room. 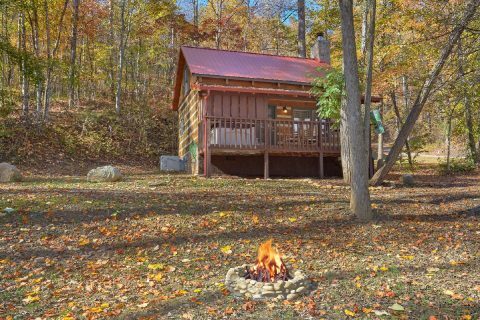 Book "Bare Kissin and Huggin" today with Cabins USA Gatlinburg to save 15% on your nightly rate on a romantic cabin in the Smokies!